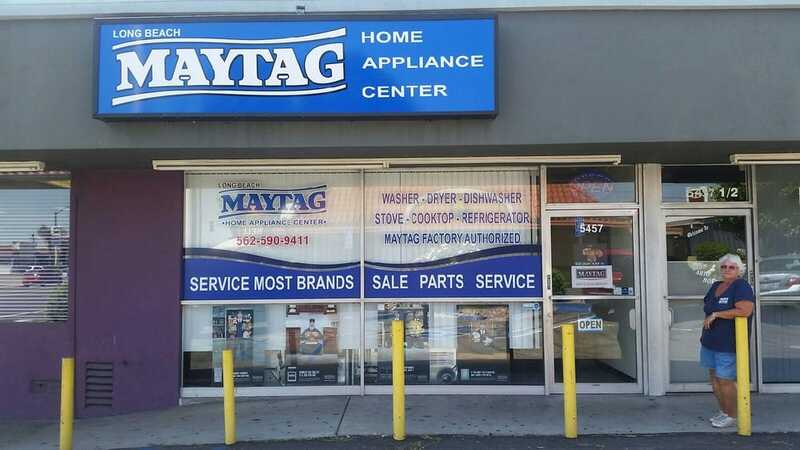 Congratulations to Long Beach Maytag for opening their doors to their appliance service and sales location in the City of Lakewood, Ca. Gayle Beckman, owner, has signed a 3 year lease and will be relocating her business in mid-February. With approximately 750sf of prime retail space, LB Maytag will be joining a center already anchored by Taco Bell, Baskin Robbins, and State Farm Insurance. Long Beach Maytag is a family-owned-and-operated household appliance center and Maytag™ dealer providing Sales, Installation, and Services for all top brands of appliances. They have served the local community for over 50 years, and was started by Gayle’s father, Joseph. As operations manager, Gayle has been running Long Beach Maytag for more than 30 years. Located near the signalized corner of Bellflower & Del Amo Blvd., in the City of Lakewood, CA. Near the 91 and 605 freeway.